Perhaps the title is a bit of an overstatement, but I continue to be surprised by the continuing interest in interactive television. My first exposure to interactive television came in 1990 when I worked for NBC which had an investment in a company called The Interactive Network. I got to play with the box which allowed a viewer to do things like play along with Jeopardy! or guess run or pass on a football game. The technology worked just fine. It just wasn't that compelling an experience. The company ran out of money in 1995, having burned through $130 million in 8 years. Time Warner created the Full Service Network in 1994, which suffered from the same problems - it was too expensive and not that compelling. They shut it down in 1997 after going through about $100 million -- an even more impressive burn rate. 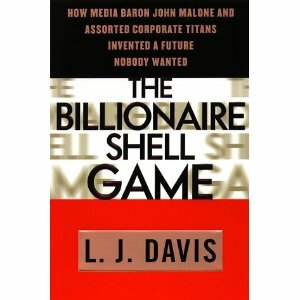 In 1998, L. J. Davis wrote a very compelling book The Billionaire Shell Game: How Cable Baron John Malone and Assorted Corporate Titans Invented a Future Nobody Wanted. Title says it all, really. It is about interactive television. However, hope spring eternal. Today, cable industry ad sales joint venture Canoe Ventures announced that interactive TV adds have achieved an interaction rate of 1%. That sounds like promising start. However, this comes eight months after Sky Media, the advertising sales arm of UK pay-TV powerhouse BSkyB announced that it was dropping the sale of interactive TV ads because of lack of advertiser demand. Did they stop too soon? No, they had been selling so-called "red button" ads for NINE YEARS. Sometimes we have a hankering to look up stats during a sporting event, call up county-by-county results on election night, discuss the red carpet looks at the Oscars and yell out the solution to Wheel of Fortune. But mostly we don't and if we do, we do it on another platform (computer, telephone, Facebook, video game, couch). At its core, television is an entertainment medium, not an interactive medium. Etymologists will note that the word "to entertain" has Latin roots based on "to hold", as in "to hold in place". In other words, when we are entertained, we don't want to move and act, we want to be held still.